Ashlie Howell knows her way around a racehorse. That goes for the horses in her stable at the racetrack and the horses she barrel races. For a horse named Ego's Appeal, his talents brought him star status in both of her stables. Ego was a claiming competitor, typically hovering between the $5,000 and $10,000 range and running in the money a dependable 58% of the time. With Ashlie as his trainer, however, he thrived, winning four of 16 starts and hitting the board 75% of the time. The two formed a bond that brought them shared success. Ego earned Ashlie her first win as a trainer, and Ashlie helped him achieve his only allowance victory. 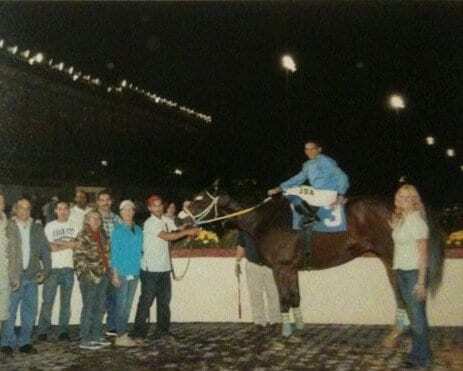 After he failed to achieve the same results for several other trainers, Ashlie sought him out, retired him, and introduced him to a new kind of racing. Ego's career had seen him crisscross the country starting in Florida in 2007, and from there moving to Chicago, then to the Great Lakes, onto the East Coast, and north to Canada. Ashlie met Ego in 2010, when he was sent to her stable at Charles Town Race Track from Northlands Park in Edmonton, Alberta. As a pair, the two clicked. Ashlie galloped most of her own horses, so she got to know Ego both in the saddle and on the ground. It was that combination of the kind heart and tough competitor that drew Ashlie in. She was the last trainer to get him to the winner's circle, and after the two parted ways, he couldn't seem to regain his form. He ran his last race on Feb. 1, 2014, and shortly thereafter, Ashlie contacted his owner and asked to purchase Ego to have as her personal riding mount. Now based at Oakridge Training Center in Morriston, Fla., Ashlie still trains for Ego's racing owner, who enjoys knowing his old charge is successful and happy in his off-track home. Jen Roytz is a freelance writer and marketing and public relations consultant for various entities, both equine and non-equine. She can also still be found on the back of an OTTB most days. 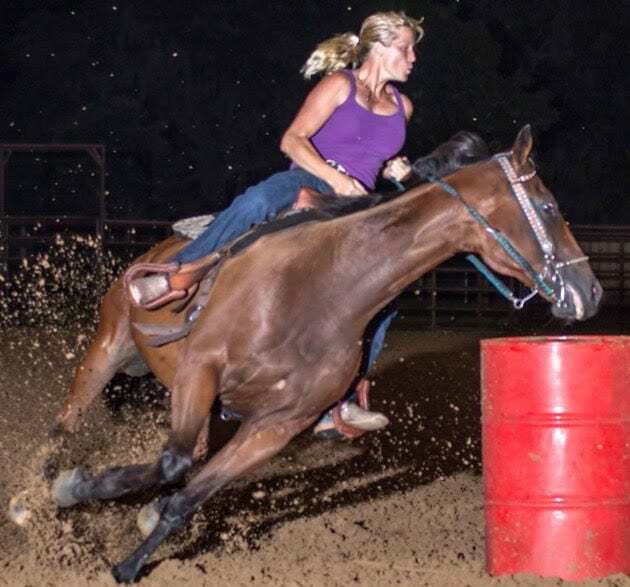 This entry was posted in OTTB Showcase Archive and tagged barrel racing, Cosequin presents OTTB Showcase, equine welfare, Horse Racing, Horse Welfare, Jen Roytz, Off Track Thoroughbreds, OTTB, thoroughbred, Thoroughbred aftercare, thoroughbred racing, thoroughbred retirement by Jen Roytz. Bookmark the permalink.